Jeff Perrotti, C.A.S. '85, director of the Safe Schools Program for LGBTQ Students, highlights ways in which schools can better address the needs of transgender youth. 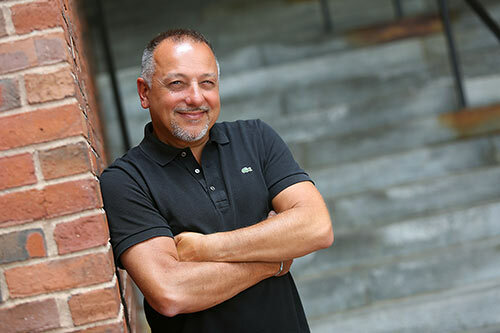 In the nearly 25 years of working as director of the Safe Schools Program for Lesbian, Gay, Bisexual, Transgender, Queer and Questioning Students (LGBTQ), Jeff Perrotti, C.A.S. '85, has had one main goal: providing support for students and educators trying to address the needs of this population. Today many openly transgender students face the same struggles that gay and lesbian students did in the early 1990s, he says. With the growing number of openly transgender students in schools has come true issues with school climate, mental health, and social justice. Citing the addition of gender identity to the Student Antidiscrimination Law, Perrotti says there needs to be additional supports for these students who are often mistreated. “School personnel struggle to keep up,” he says, highlighting changes in terminology and broader issues about managing messages around gender. and all-gender bathrooms, among other efforts. In this edition of the Harvard EdCast, Perrotti discusses the efforts of the Safe Schools Program and shares what he feels is most needed in schools in order for transgender students to thrive. Read Harvard Ed. magazine's feature, "Goodwill Not Enough," and learn more about what Perrotti and others are doing to support transgender students in school settings.